Schlock-Wire: Shout! Factory Goes Chuck Wild With THE GONG SHOW MOVIE On Blu-Ray – Schlockmania! Hey, Chuckie Baby! 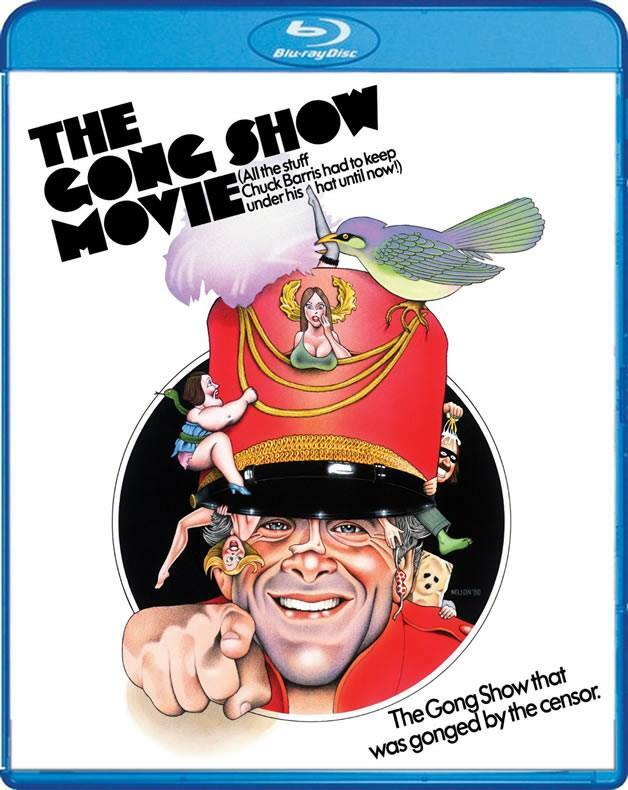 From the dangerous mind of Chuck Barris comes one of the most infamous motion pictures ever – The Gong Show Movie! Long absent from home video formats, this one-of-a-kind cult film has at last taken its act to Blu-ray, debuting March 29, 2016, from Shout! Factory. Long before America’s current fascination with talent shows came “The Gong Show.” Inspired by the beloved TV talent(less) show, The Gong Show Movie presents a week in the life of beleaguered game show producer and Gong Show host Chuck Barris (played by Mr. Barris himself, in a masterstroke of casting). Between a ratings-obsessed executive, out-of-control contestants and judges, and a seemingly endless string of auditions and encounters with “fans,” Chuck’s got his hands full… which leaves him no way to keep a grip on his own sanity. Can he get it together before the gong is struck on both his private life and his career? Co-written by Barris and underground film legend Robert Downey (Putney Swope), The Gong Show Movie is by turns anarchic and melancholy, a wild mood swing of cinema. It’s time to fire up Gene Gene the Blu-ray Machine, learn to stop worrying, and love the Gong. This highly entertaining film includes appearances by Gong Show favorites, moments that got gonged by the censors, and more stuff.